There’s about a 90% probability that if you’re suffering from seasonal (or regular) allergies, your body is environmentally burdened. This increases to 100% probability that you’re environmentally burdened if you also suffer from chemical sensitivities. Do strong perfumes or colognes bother you? Do you avoid walking down the laundry detergent aisle or into stores like Lush or The Body Shop? Do you find cigarette smoke bothers you? Does smelling diesel fumes while sitting in traffic annoy you? Have you switched your cleaning supplies to more natural things at home because you can’t stand the normal ones? Can you always detect moulds or must where others can’t? IF YOU ANSWERED YES TO ANY OF THOSE QUESTIONS, you’re environmentally burdened and chemically sensitive. Allergies (and asthma) can often be one of the first stages and signs of immunotoxicity in the body, followed closely by chemical sensitivities. The next stage after this starts to become more serious and is often the development of chronic infections like recurrent strep throat, ear infections, bladder infections, candida, sinusitis, pneumonia, etc. This can then turn into autoimmune disease (where the body starts to attack itself) and may include diseases likes rheumatoid arthritis, hashimoto’s disease, Sjogren’s Syndrome, etc or conditions like fibromyalgia and chronic fatigue syndrome. 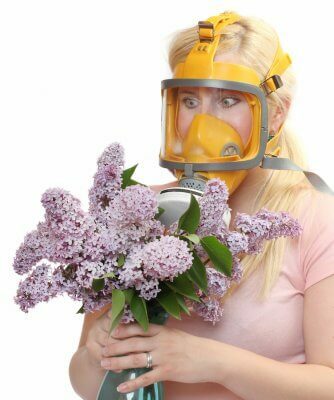 AS SOON AS YOU NOTICE ALLERGIES OR CHEMICAL SENSITIVITY, THIS IS THE TIME WE NEED TO ACT! I don’t want you progressing further down the body burden pathway and becoming more and more sick! Unfortunately we’re absolutely surrounded by toxicant chemicals that can add to our body burden and while getting rid of all of them is likely impossible in today’s world, there are many little things we can do that will make a big difference. Make sure you find out how you score on my “How Toxic Are You Quiz” (on this same page) to find out about other exposure sources. Come see me to help get your body burden decreased and those allergies under control! This is my absolute favourite thing to do in practice and I’d love to help you in absolutely any way that I can to decrease what you’re currently being exposed to and get as much as we can out of your body. Click here to book your free 15-minute meet and greet!